Get ready for a wild weekend of epic proportions. 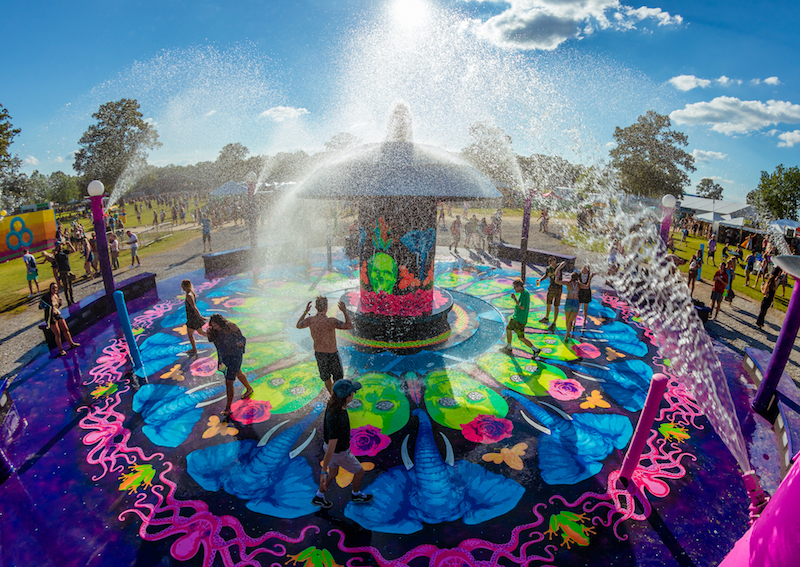 ICYMI: Bonnaroo brought their A game this year when it came to the exciting new amenities and experiences offered on the festival grounds. In addition to the jaw-dropping lineup (no, seriously, have you seen it? ), delicious food trucks, and all-night dance parties, the organizers ensured that Bonnaroovians will have everything they'd possibly want and need for a weekend away with their best pals. In between running from stage to stage to catch sets from Eminem, Muse, Sturgill Simpson, Dua Lipa, and Anderson .Paak, campers will have a plethora of options when it comes to how they spend their downtime. 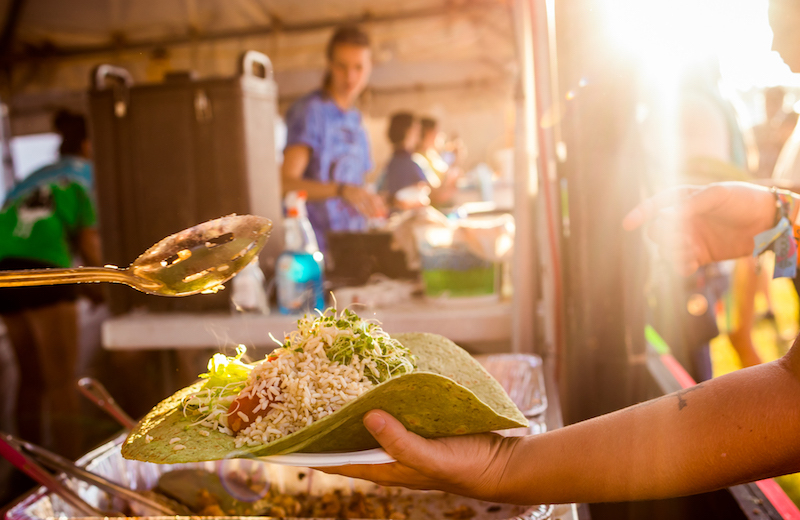 From Plaza perks to culinary delights, check out all the pros below that festival-goers will experience on June 7-10 in Manchester, Tennessee! Camping at Bonnaroo is next level, people. Forget staying in tent, feeling deprived of all the comforts of your own home. All of the campsites on the grounds will be located near a Plaza, which will be decked out with food vendors, actual showers, water stations, medical services, Wifi, and cell phone charging stations. One of Bonnaroo’s classic fixtures, The Garage", will be back and bigger than ever with more epic games and activities, including everything from dancing to art and yoga. This is where you'll also find the famed art car, Big Red, so be sure to swing by for a photo op. Infamous Brooklyn nightclub House of Yes, known for its epic dance parties, big colors, bright lights, and joyous positivity, is coming to a barn at ‘Roo! Now you’ll be able to keep the party going long after the bands finish their last encores. Keeping with the theme, two more BK gems can be found at Bonnaroo this summer—The Sketchbook Project and The Little Cinema. The former is a project that will allow festival goers to take part in a collective artistic experience that will be kept in the Sketchbook Project’s library in Williamsburg after the weekend is over. The Little Cinema, also hailing from NYC, will make its new, temporary home in one of the barns for a performance that melds film, live music, circus, and dance to create an unrivaled sensory experience. Let’s get weird! We don’t know what the surprise is yet, but we're itching to find out. 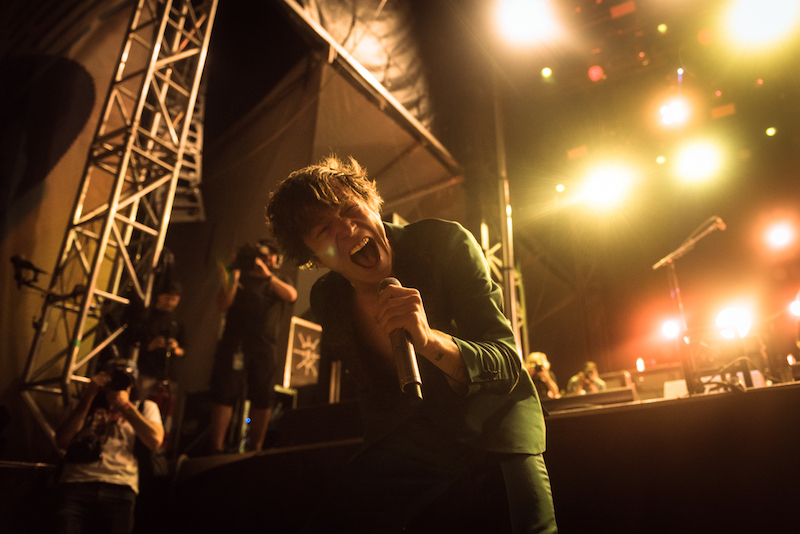 The enigmatic frontman has performed and attended Bonnaroo many, many times, so we know whatever he has planned is going to fall in line with the magical spirit that the festival prides itself on. If you miss this, your friends will never let you hear the end of it. Inspired by the happenings of the ‘50s and ‘60s, Tonalism is an all-night experience that aims to create a harmonious space for campers to chill using projections, ambient sounds, and art installations. How else would one wind down after seeing The Killers, Khalid, The Glitch Mob, and Dua Lipa all in one day? Catch us there at 3:00 a.m. with our pillows and blankets in tow. 5. 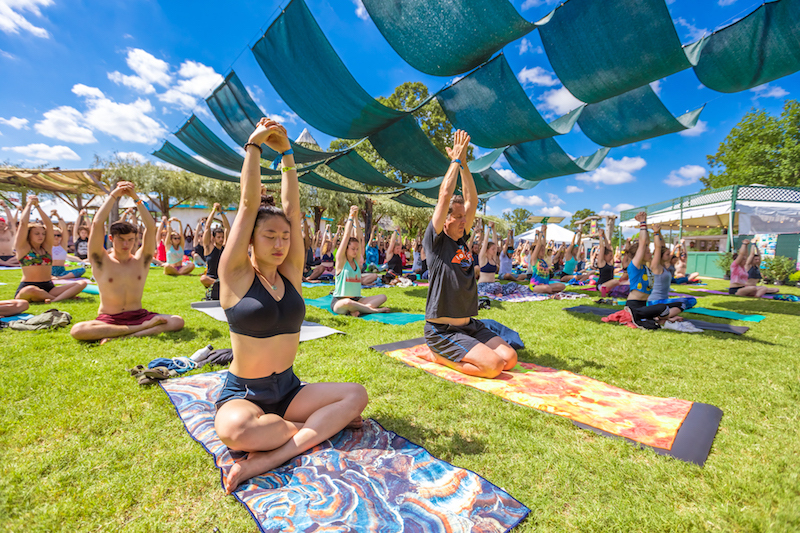 Be The Best Version of Yourself at "The Well"
We’re so into “The Well” plaza and you will be too — there just in case you need a break from running from one deliciously greasy food tent to the next (but if you don’t—that’s chill, we feel you). How do these things sound to you: healthy food, yoga, meditation, chill listening parties, exercise meetups, and everything else your healthy little heart desires. Awesome, right? We think so too. Are you ready to race?! If so, bring your sneaks and competitive spirit to Bonnaroo for the sixth annual Roo Run aroud The Farm! Or, on the off-chance that running isn’t your cup of tea, there will be Parades onsite as well (who doesn't love parades?!). 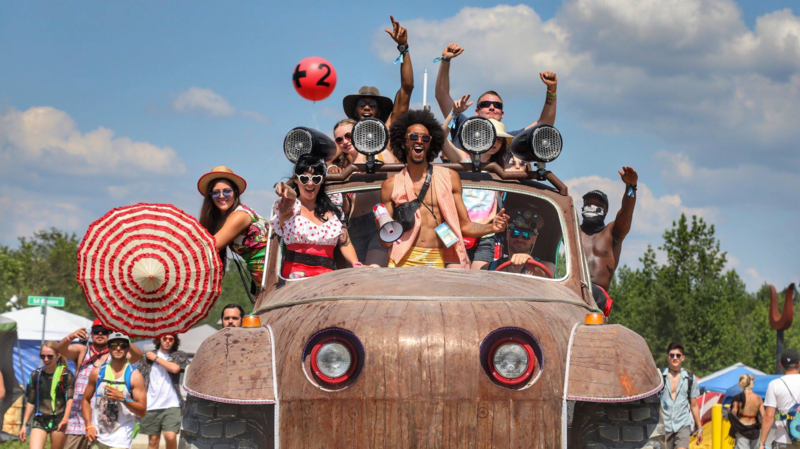 Get ready for some loud music, art cars, and colorful people marching, dancing, and twirling their way through Centeroo, aka the heart of Bonnaroo’s festival grounds. We’re already planning our outfits. Bonnaroo is pulling out all the stops for their camping communities this year, including bringing in Texas chef, Tim Love, to host a mouth-watering, envy-inducing, culinary experience. Love is best known for his unique and delectable take on urban-western cuisine, his show Restaurant Startup, and his four exquisite restaurants—White Elephant Saloon, The Love Shack, The Woodshed Smokehouse, and Lonesome Dove Western Bistro. You (and your taste buds) will not want to miss this. Need another reason to head to The Farm? The campground will have multiple fully functioning recording studios onsite this year for 20 hand-picked musicians to use as a space to write and collaborate on new music. To round out the experience, there will be lectures and workshops led by internationally recognized creatives for budding artists to gain insights and advice about the industry. Lights, camera...pyro? Yes, you heard that right—Kalliope, the late-night/early-morning dance party of your dreams is back by ultra-popular demand. 2018's event will feature stunning light shows, epic music brought to you by the biggest electronic artists, and, as promised, lots of pyro. While we don't know what legends will be performing on the sky-high stage this year, based on previous acts (Skrillex, Odesza, Cherub), we know we'll be in good hands. Now that you're geared up and ready for the weekend, check out our complete playlist below! Then make sure to Track all of the artists heading to Bonnaroo below and don't forget to get your tickets here!